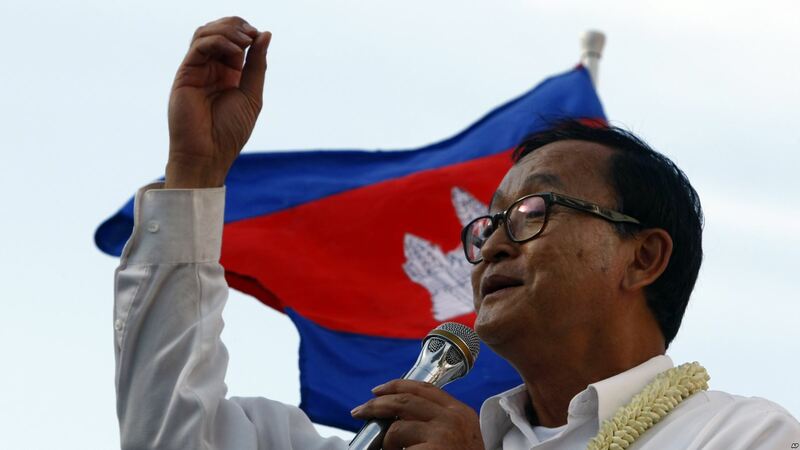 FILE: Cambodian opposition leader Sam Rainsy of the Cambodia National Rescue Party delivers a speech before his party supporters during a rally in Phnom Penh, Cambodia, Sunday, Dec. 22, 2013. 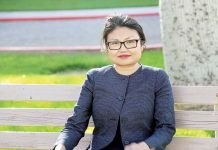 The announcement was made at a gathering of overseas party members in Atlanta, GA, this week, which was billed as the first Cambodia National Rescue Party world congress outside the country and supporters of Sokha had opposed. 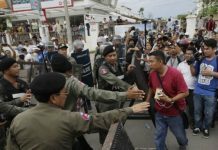 Atlanta, Ga – The former president of Cambodia’s main opposition party, Sam Rainsy, has declared himself leader of the party despite its current leader, Kem Sokha, being held under house arrest in Phnom Penh by Prime Minister Hun Sen’s government. The announcement was made at a gathering of overseas party members in Atlanta, GA, this week, which was billed as the first Cambodia National Rescue Party world conference outside the country and supporters of Sokha had opposed.